As I near the end of my time here in India, I’ve been thinking a lot about how I’m going to translate this experience into a narrative that I can share with people from home, including advice for people thinking about doing something similar in the future. Of all the lessons I think I’ve learned here, I think the one that is the most interesting and helpful is the management of confusion, something I touched on a bit in my first blog. I am in a state of constant and multi-levelled confusion in India. I mean multi-levelled in the sense that almost every level of cognitive activity there is a seen of confusion. I’m confused about the usual, everyday things that many people talk about, things like physical health, Am I sick or am I hungry or is it my anti-malarial drugs?, for example, and how much I should pay for things. I’m confused every time I try and take a bus/train/ rickshaw anywhere, confused by different hand gestures and head wobbles and whether someone is being polite or rude to me. Often when I travel, I don’t even know where I will sleep that night, a form of confusion I think. All those little confusions used to make me anxious, little uncertainties that build up and have the ability to overwhelm. But I became accustomed to them, recognizing the transient nature of many of these everyday confusions- I will find somewhere to stay, I will realize that a head shake is more of a yes than a no, I will learn to say Hello and I will find the bus I need. I trust myself and the world to resolve the confusion with time, so the anxiety lessons- the uncertainty, while constant in some ways, is ever-changing- cyclical in the emergence of new anxieties and the dissipation of old ones. So the first big lesson I would share is that to manage the every-day anxiety of moving through India, you must realize and internalize their transient nature, and work towards trusting that they will be resolved. But some uncertainties aren’t of the “surface level” sort. They don’t arise when you are trying to catch the bus, but right after, when someone is asking you for money through the. I was, and still am, confused ethically, confused at what the right thing to do is, how I can help people while I’m here. I’m confused by the legacy of colonialism here, by the treatment of women, by my place here as a western woman. Do I give money or do I not give money? Who is to blame for the poverty in front of me? Am I supposed to feel guilty? Who is being taken advantage of here? These uncertainties don’t make it much harder for me to physically move through India, but they are just as constant. I don’t know what to expect in terms of treatment, I don’t know how to treat people with the respect I believe they deserve. I don’t know what the morally responsible thing to do is often. I’m confused by how to feel- how to reconcile the joy I feel in connecting with the people and the places here with the apparent suffering that surrounds me? And does poverty necessarily lead to suffering? What is the place of pity here? This confusion of morals and emotions is deeply penetrating and disturbing. To feel like you don’t know how to be a good person, that you don’t know how to organize your understanding of the world, can lead to a host of strange behavior in the foreigners who visit. I have had level-headed foreigners yell at people asking for selfies, complain about paying a whole 20 cents more for a rickshaw because they feel like they are getting ripped off, refuse giving food to children but hand money over to alcoholics. We build our moral structures in the world and sometimes they begin to crumble in a world that is different I think. We feel more sensitive than ever before, more unstable, and so an unknown gesture or a request can send us hiding in our anger and indignation. Information helps, talking to foreigners and Indians alike, reading articles and novels, but I found that no matter how much I learn, the base level uncertainty is still there, because it is of a type that a few facts could not resolve. It’s the type to linger even after you leave the place, I think, that continues to educate even after the travelling is over. This is in many ways opposite the confusion I was talking about before. It is not transient, it may even be permanent for some people in some forms. It is strong, and it has shaken me certainly. So, in my experience, to manage this uncertainty requires an opposite reaction as well. Recognizing that it will maybe never be resolved, that the questions I am asking myself may never get answers, that there might not be a right answer in these situation, has freed me from my frantic searching. I’m still trying to educate myself, to move towards a more ethical version of existence, but with a recognition that I may not ever feel like I’ve done the “right thing.” It’s an acceptance that feeling like a good person isn’t so easy after all- there are no official rules, you have to decide for yourself. That’s a big job, but it’s a wonderful one too, and all of this is because I am in a place that confuses me. I still don’t have any answers, but I’m more comfortable letting the questions fully inhabit me, letting them teach me what they can. I guess that’s my other lesson: Love the questions for what they are, questions. This entry was posted in Uncategorized by Addison Kamb. Bookmark the permalink. Addison is a junior double-majoring in Biology and Creative Writing & Literature. She is fascinated with the act of storytelling and the power a story can have in creating real change in individuals and societies. After graduation, Addison would like to use journalism to bring attention to currently unseen or misunderstood human experiences. She will be spending eight weeks in Dharamshala working for Lha Charitable Trust, the largest organization serving the Tibetan refugees living in the area. Addison will serve as a contributing writer to their magazine along with teaching English and leading conversation classes. 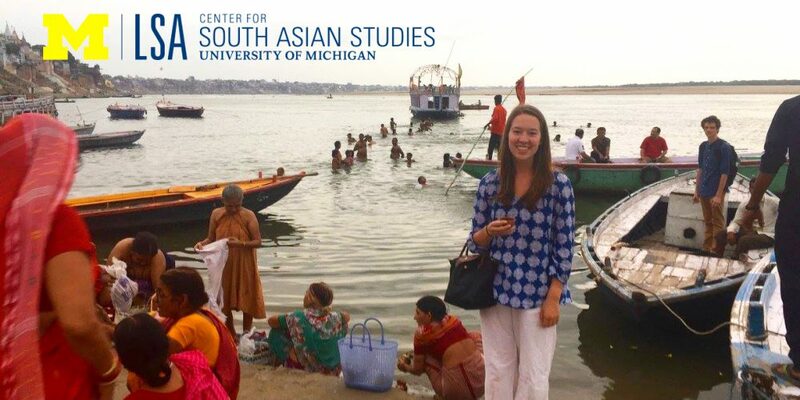 Her final research project will investigate the role of Buddhism and culture in the everyday lives of the refugees she will be working with.